This is a remake of a closet in the bedroom of a lovely home in a quite historic neighborhood of Santa Rosa CA. 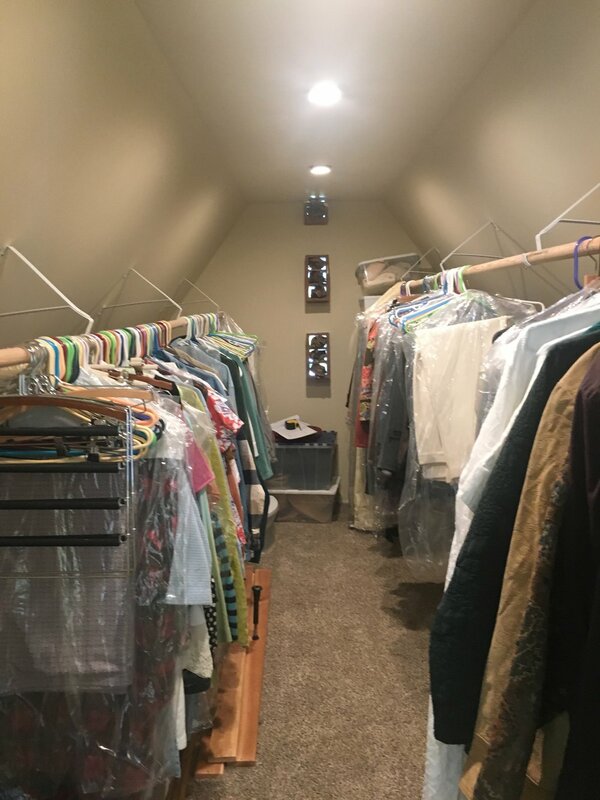 Here we had a small closet or as the real estate agent called a large closet was really not that large since the ceilings were pitched and sloped. No problem in making it more efficient and economical for this single woman. 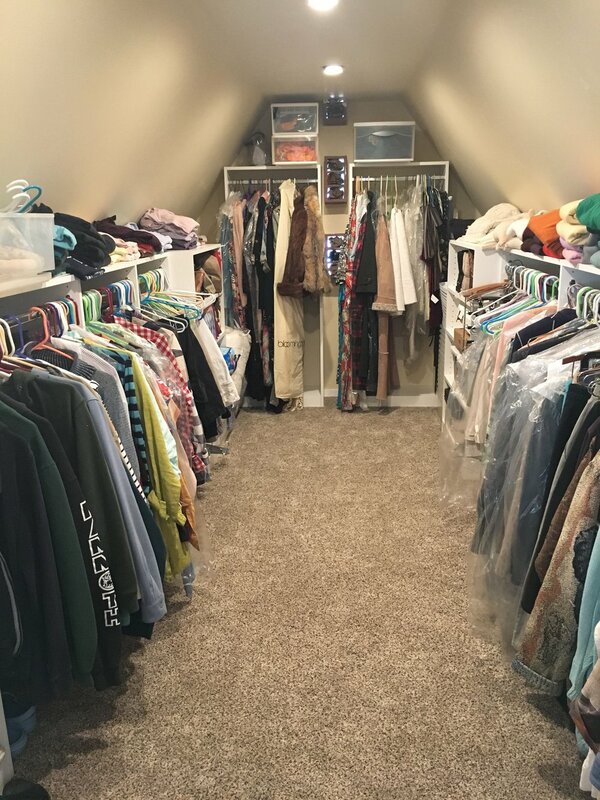 We just created a few simple solutions to maximize this attic walk in closet to be comfortable to use and to enjoy the process of the selection of her clothing. We of course included the absolutely needed long and dress hanging in the back. Therefore the before and after photos follow.